The summer salute to sangria continues, this time with a tropical take on this sweet beverage. This week, Enchantment mixologist Scott Knauer offers this tropical twist on sangria, full of the tropical flavors of pineapple, grapefruit, and ginger. 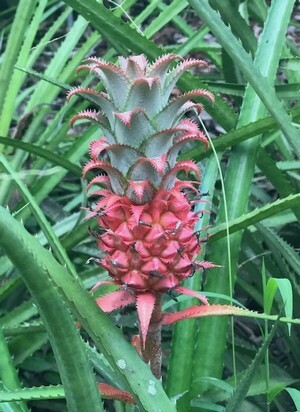 Inspired by this tiny pink pineapple spotted at a bottanical garden in Hawaii in 2017, this concoction can be topped off with a favorite cider, and then your set for an afternoon at the beach (or a land-locked swimming pool in your backyard). 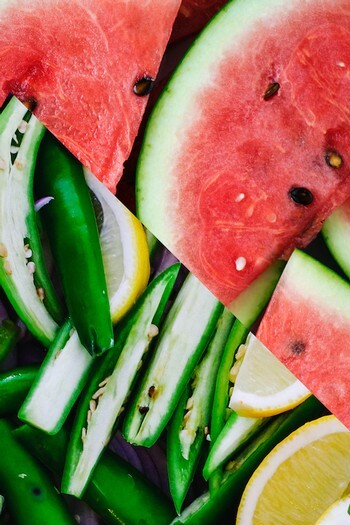 During the hot summer months in New Mexico, our favorite beverage shifts from the elegant simplicity of wine to the traditional Spanish concoction of sangria. We've decided to host an informal competition between the family and staff of Enchantment Vineyards. First up is June, the matriarch of Enchantment. Known to be a master mixologist, June's recipe for Enchanting Sangria is sure to be a hit on a hot summer day by the pool. Mix the first six ingredients together, stirring well until the sugar is completely dissolved. Next, add the sliced fruit and cherries. Refrigerate the muddled fruits overnight, then prior to serving, add the cider for a fizzy kick to the experience. It's okay if you experience the urge to flamenco dance. This July, we will be featuring a different sangria recipe each week, each making use of our wine of the month, our 2015 Pinot Noir. Save 10% on all bottles of this uniquely delicate wine either online or in our tasting room.